It is possible to send flowers online cheap, having spent only 5-10 minutes, by a convenient service of the best floristic studio of Riga and all Latvia KROKUS. Do you want to send flowers online to relatives or friends from Riga? 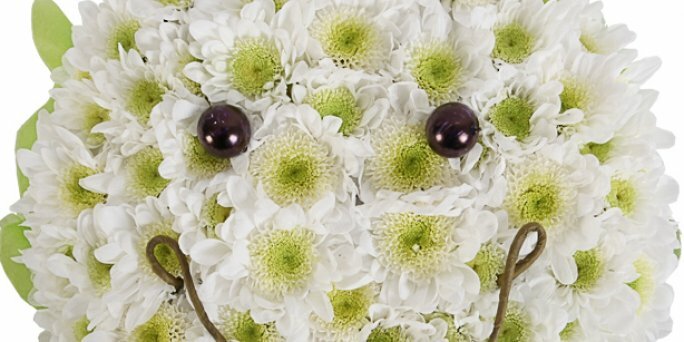 Go to the catalog of goods and choose an original bouquet of the freshest flowers. You can make a purchase on the website in just a few clicks. Besides, you can make an order by calling the operator at any time of the day. An easy way to send cheap flowers online is to contact the best online floristic shop of Riga and Latvia KROKUS. Shopping in the Internet has become common for most residents of Latvia. Often we buy equipment, clothes and shoes, as well as food in online shops, because it is comfortable, available and allows you to spend your time wisely. Flower shops are not an exception and they offer a wide range of services, up to send flowers online cheap to the specified address in Riga or any other city in Latvia. ● free consultations of specialists. What can I sendflowersonlinecheap in Riga (Latvia)? Visiting the catalog page of the online shop KROKUS, the customers will be able to find more than 200 different compositions created by professional florists. Among them there are bouquets of roses, peonies, chrysanthemums, tulips, gerberas, freesias, irises, hydrangeas, orchids and other popular garden flowers. Besides, on the website you can find completely unique bouquets in hatboxes, baskets, cages. Often the flowers are complemented with sweets, souvenirs, accessories, candles, fruits and berries, which can also be bought inexpensively in our shop. Thanks to this range, you can safely say that the best place to send flowers cheap online in Riga and all over Latvia is KROKUS. The courier service of our online shop operates in a lot of Latvian cities. Even being a few dozen kilometers from a person, you can send him flowers using our service. The delivery from KROKUS across Riga is free, however, if you want to receive flowers urgently, then for only 10 euros you can use the service of fast sending of the composition and within 2-3 hours you will hold a bright and magnificent bouquet of fresh flowers in your hands. If you want to send flowers online to Marupe, Jurmala, Vecmilgravis or another city of Latvia, then the cost of such delivery will be 5-25 euros. To make an order, use convenient functions of our website or just call the company manager at the specified phone number.